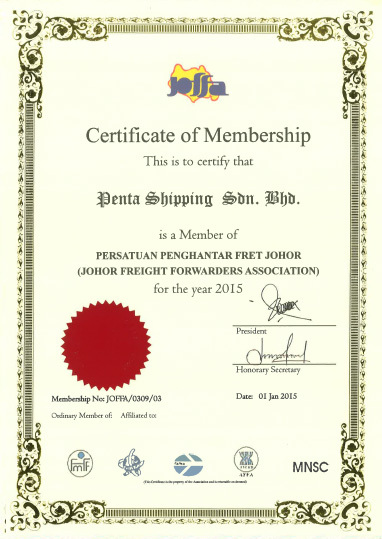 Penta Freight Sdn Bhd was incorporated on 7th Jun 2004. 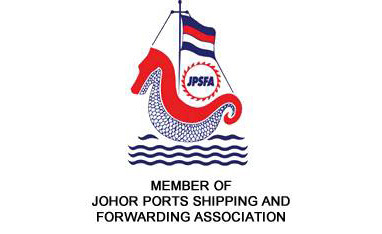 Previously, we embarked into shipping industry as freight forwarder, shipping agent and logistic provider. In order to streamline our business operations, we evolved into different business units i.e. 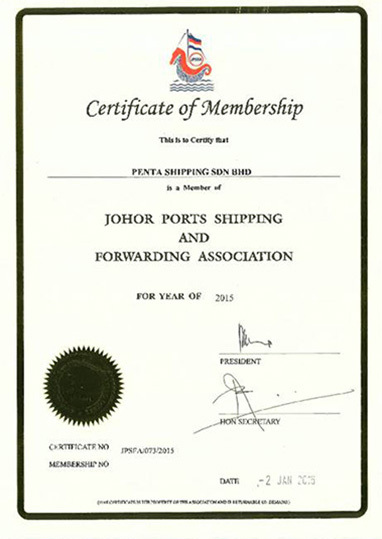 Penta shipping Sdn Bhd, Penta Agencies Sdn Bhd and Penta Freight International Sdn Bhd. Each unit plays its own role in the shipping freight activities and support with each other to provide complementary and value added services to our valued customers. 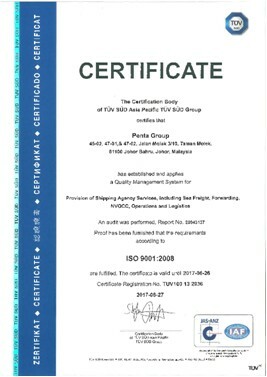 Penta provides total comprehensive freight & logistics services to the ship owners, shippers and consignees, freight providers and logistics operators, with optimization of achieving the best solution. We believe in partnership to achieve win-win results in the cooperation. Providing customer with quality of services through innovative and cost-effective service delivery approach, seeking continual improvement in profitability, processes, infrastructure, people and quality management system for total customer satisfaction. 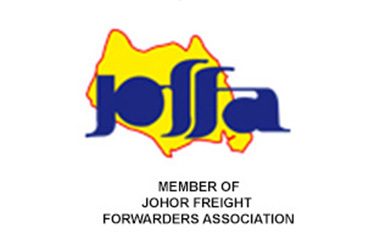 Prioritizing and maintaining high standard of operation, management in safety and environments for the betterment of shipping freight industry and trade.